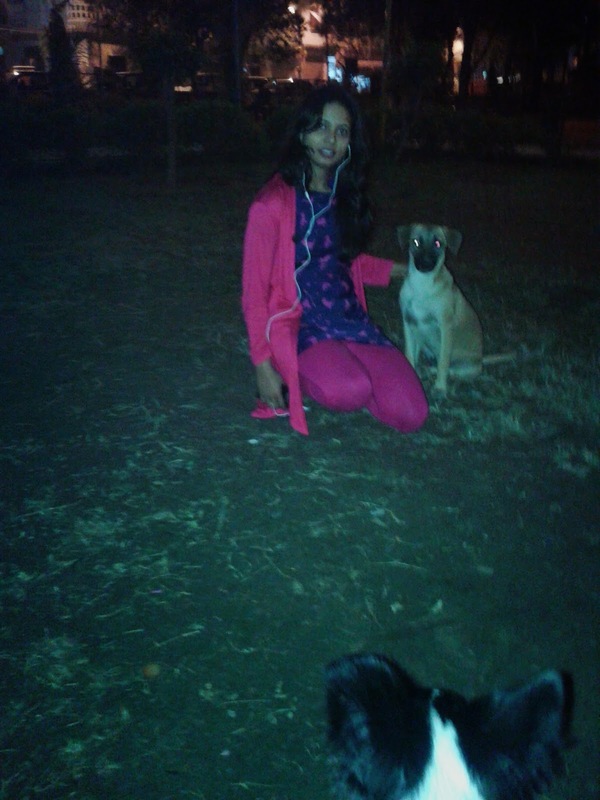 Hey friends, today I went to the park with my sweet doggy MATKI, she is very sweet. While walking I met this very cute doggy. He came to me, I scared to see him near me. 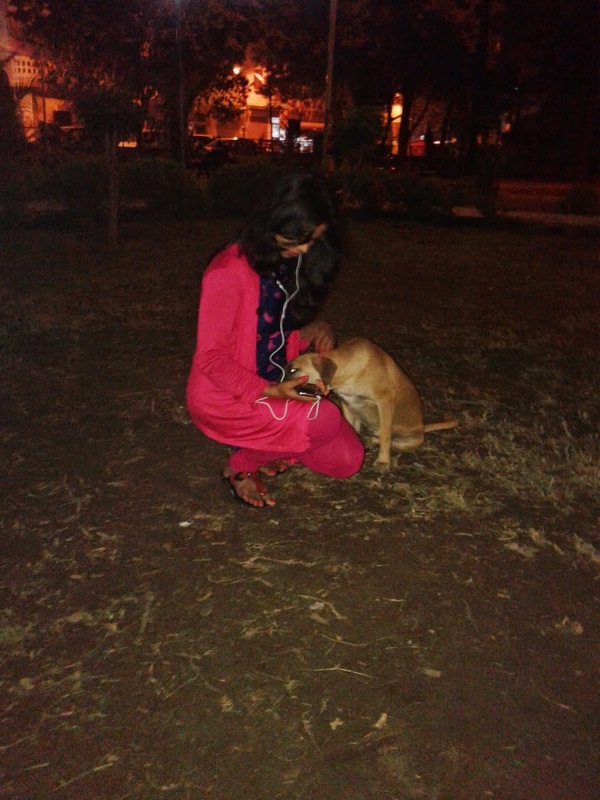 But he was coming to me with love, I noticed that and I started rubbing his head and he rested on my lap. It was really amazing feeling. Hi Monica..first of all you have a beautiful blog :)! I loved reading this short..but sweet blog post of yours! I love dogs too! Actually all animals are equally loving.